It’s so great that it’s another Friday! The weekend at last. It’s been a really hot week but it’s supposed to start cooling down over the weekend, thank goodness. I’m ready for some cooler weather. It’s not even the heat that’s the worst. It’s so humid as well which I am hating. 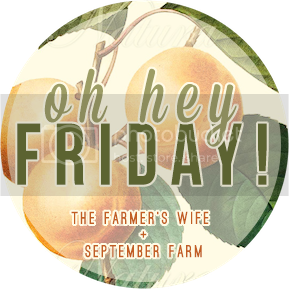 I am excited for the next few months and in the Friday post I’m going to share why. I am a TV junkie. Even though we cut cable to save money. I still watch a lot of TV, some people like my husband would claim too much TV but what does he know. I am so excited for Fall Premiers because that’s the best time. I love summer shows but I miss all the shows that have been gone all summer. I’m most excited for the Mindy Project, Jane the Virgin, Scorpion, Brooklyn 99 and Once Upon a Time to name a few. In October we celebrate both my birthday and Bella’s birthday. I will be turning 31 and she will be turning 9. I just love the celebrating of birthdays. It’s such a good time. I hope to never be one of those people that dreads birthdays because it means getting older. So far I have loved getting older because I think I just keep getting better. I learn more and am wiser with each passing year. Plus I know people killing it in their 30’s, 40’s and beyond and hope to be doing the same. I don’t wear a lot of makeup ever. 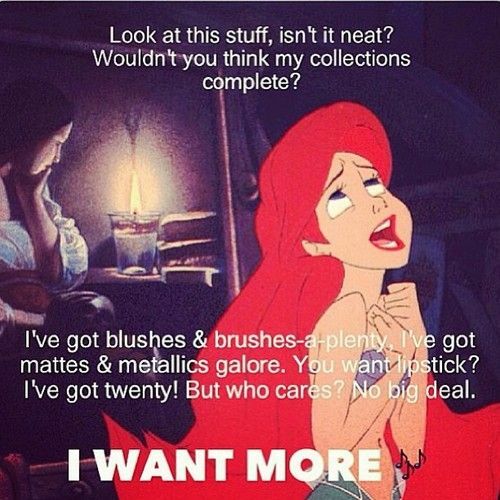 I’m just not a big makeup person in general. In the summer I wear even less because why put it on if I’m just going to sweat it all off. This summer especially with the humidity. The worst. So I need to check what I need more of and do some restocking of makeup. I have a mascara I love but I need some new eyeshadow. Well my birthday is coming up, so Sephora trip maybe! I love a good frappacino when it’s hot outside. After visiting her grandparents for a couple weeks this summer Bella came back loving Starbucks too. She doesn’t get anything with caffeine, she is hyper enough naturally she doesn’t need the boost I do. So we are celebrating our Starbucks love with a $15 gift card. Well that’s all I’ve got you guys. I am sticking with four today because I’m kind of tired and doing this Thursday night and want to go veg out and watch some Netflix. Pumpkin Spice Latte’s all the way- so glad it’s almost here!!! My favorite Starbucks drink is the Shaken Black Iced tea. I’m super excited for Fall TV too. We haven’t had cable for quite a while, but we do have Hulu, Netflix, and Amazon Prime. LOVE the Mindy Project!!!! I love getting a caramel frapp and a warmed chocolate croissant , so good! I am such a slave to chai tea lattes and PSLs in the fall. I’m overly excited about the new recipe they’re using this year! Jacynta recently posted…Final Birthday Giveaway! My favorite drink is the Iced Green Tea. My favorite drink is basically the same drink but cold in summer and spring and hot in fall and winter!! When it’s hot drink it’s Soy Vanilla Steamer with whipped cream and extra caramel, when it’s a cold drink it’s Vanilla bean frap with extra caramel!! =). And my favourite Starbucks drink is DEFINITELY the cinnamon dolce latte. Mmhmm. It’s so good. My favorite is the Iced Mocha. I love green tea latte. This time of year it’s pumpkin spiced lattes! I love the hot chocolate!! My favorite is their salted caramel hot chocolate! YUM!! My fave Starbucks drink is a Vanilla Frap, but I’m a sucker for PSL’s when they’re in season – which is soon! Looks like you have some exciting stuff coming up. Fall is definitely a wonderful time! Cafe mochas are my favorite! My favorite drink is a Vanilla Iced Coffee. I can have that daily!! I need to try this one too! I love Frappuccinos and Chai Tea Lattes. My sister keeps telling me that I should watch Jane the Virgin. I’m thinking of giving it a try this Fall. I hope you’re having a great weekend. It’s a really great show! I LOVE a peppermint hot chocolate – any time of year! My favorite drink is the strawberry creme or the vanilla bean. I love a hazelnut cafe latte! My favorite is an iced vanilla latte! Mmmmhmm! I love to drink Mocha Frappuccinos. My favorites are White Chocolate Mocha and Pumpkin Spice Latte. Thank you so much for the giveaway! I am excited for the PSL to come back. My favorite. Croissants, cake pops, and iced coffee with cream!